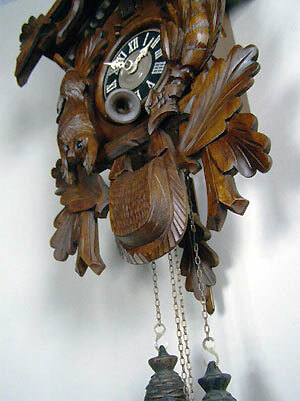 This is a German cuckoo clock with a duration of eight days by Burger K.G. from the Black Forest. 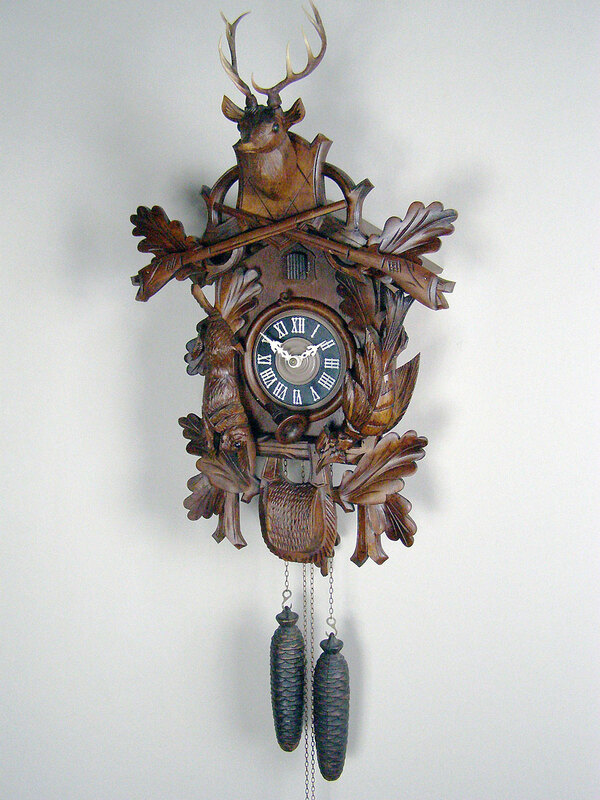 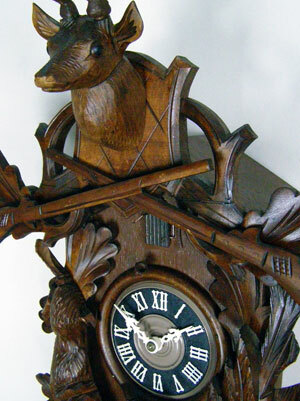 The clock is heavily carved and of standard design with pine cone weights.